Sherri Graves Smith, a native of Tuscumbia, loves football, reading, and her home state of Alabama. Having grown up in a family of readers and sports fans, when cancer forced her into early retirement she decided to pursue her lifelong desire to encourage reading in children the same way that her parents encouraged her to read. The resulting books—a series devoted to Game Days at various colleges around the country—teach the invaluable lessons of good manners, good sportsmanship, and the importance of healthy rivalry. Each book, meticulously researched and illustrated, give the reader a sense of what the college campus looks like on game day, a sense of the university's history, and the importance of civility in all situations. She focuses on the important life lessons that can be learned through sports: winning and losing with grace, being a team player, learning from mistakes, playing by the rules, and respecting the decisions made by the referees. She also reminds readers, young and old, of the many ways that being a sports fan crosses gender, race, age, economic, social, and sometimes religious lines. Written in rhyme, the books are a charming memory trigger as to why most readers loved poetry as children. While intended for children, they are suitable for sports fans of any age. 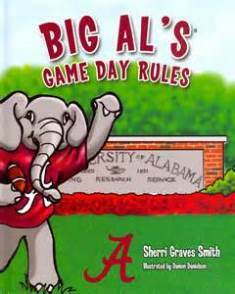 The Game Day Rules Series, which includes both the University of Alabama and Auburn University, is intended for young readers while Counting With Big Al and Big Al Teaches the Alphabet are intended as learning tools for the preschool set. 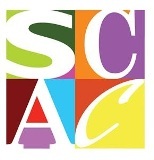 Sherri Graves Smith, who graduated from the University of Alabama and Samford University, Cumberland School of Law, was hired at Coca-Cola's Legal Division in 2000. While employed there, she volunteered at homeless shelters, read to children, and taught children to read. Smith's collection of children's books and the back story leading to her new career are inspirational. Pam Kingsbury teaches English at the University of North Alabama.